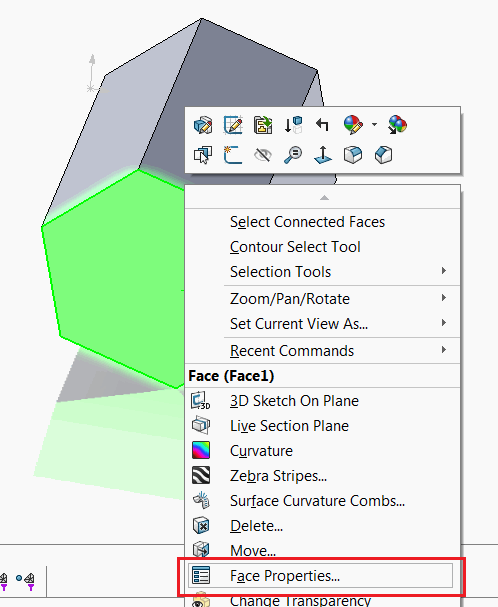 This example demonstrates how to select a named entity (face, edge or vertex) in the different document types using SOLIDWORKS API. Name can be set in the displayed dialog and it is unique per part. 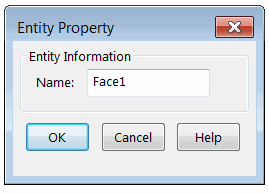 Pointer to the entity can be retrieved via IPartDoc::GetEntityByName SOLIDWORKS API method. This example enhances the functionality and also allows to select entity by name in drawing (from the selected drawing view) or assembly (from the selected component of part). Const ENT_NAME As String = "MyEdge1"
Const ENT_NAME As String = "Face1"
Err.Raise vbError, "", "Entity parent is not specified (open part or select drawing view or component in assembly or drawing"
Err.Raise vbError, "", "Invalid parent selection: only drawing view or component is supported"
Err.Raise vbError, "", "Failed to find the entity by name"
Err.Raise vbError, "", "Pointer to model doc is null"
Err.Raise vbError, "", "Document is not part doc"